170796 readings completed so far! 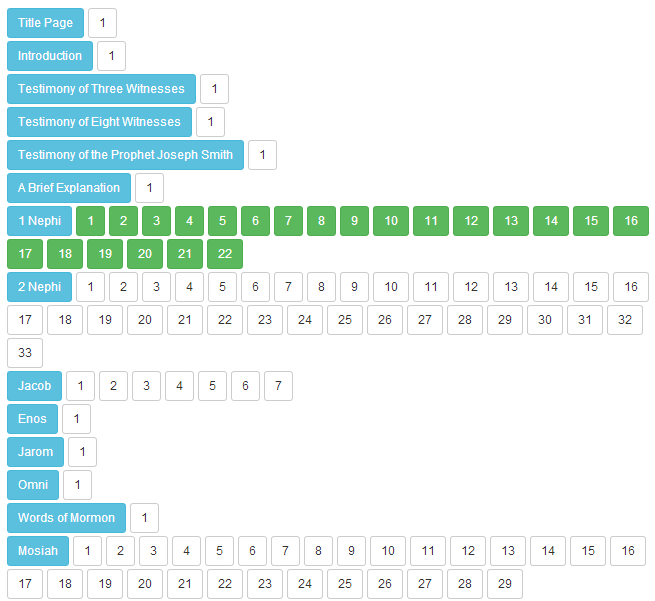 ScriptureCharts.com is a free online scripture reading chart that allows you to track what you have read. It works on both desktop computers and mobile devices. If you have another book that you would like us to load please just let us know. We can add charts for other books, just let us know what you would like added.